Repeated signs of lower-than-expected iPhone sales have plagued Apple (NASDAQ:AAPL) in the months following September’s big launch event. Apple stock has been savaged as a result. However, according to a report from IDC, at least one of AAPL’s hardware lines has been moving units in a big way, with Q3 Apple Watch sales up 54% year-over-year. 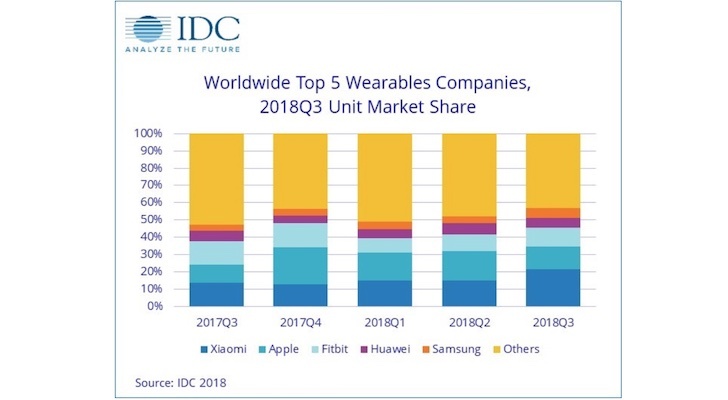 Industry tracking firm IDC just released its third-quarter 2018 report on the global wearables market. AAPL investors who are tired of the deluge of news about slowing iPhone shipments should be happier with this one. According to IDC’s estimates, the company shipped 4.2 million smartwatches in Q3 2018, up 54% from the 2.7 million units it moved in Q3 2017. That’s significant growth that outperformed the overall global wearables market — which was up 21.7% for 32 million units. It’s Last Year’s Model That’s Selling, However…. One potential cloud to those numbers is the product mix. IDC says that the Apple Watch Series 4 accounted for a small fraction of overall Apple Watch sales volume. That observation needs to be taken with a big grain of salt, though. These numbers are for Q3, and the Apple Watch Series 4 was available only at the end of the quarter, launching with the new iPhones near the end of September. IDCs Q4 numbers should be more interesting. Apple Watch Series 3 discounts have been frequent, with many retailers offering sale prices during Black Friday and Cyber Monday. Without a doubt, that’s going to boost numbers for Q4. So far, the Apple Watch Series 4 has remained at regular retail prices during its first full quarter of availability, but demand seems strong thanks to its larger display and enhanced health capabilities. Early results showed the new Apple Watch selling better than expected. Anecdotally, my own experience showed it appears to be doing better than the new iPhone. I preordered an iPhone XS Max and Apple Watch Series 4 on the same day. The iPhone was on my doorstep four days after I placed the order, but the Apple Watch took nearly a month to arrive. Also to be taken with a grain of salt is Xiaomi’s position at the top of the wearables chart. The Chinese company does make smartwatches, but the bulk of its sales are inexpensive fitness trackers. IDC notes that Xiaomi’s Mi Band 3 was largely responsible for its ability to grab first place — and that Mi Band 3 can be had for just $30. Also notable is Fitbit’s (NYSE:FIT) negative growth for the quarter. It’s smartwatch sales are doing well, but Fitbit’s fitness tracker business continues to slide. It’s important to note that IDCs numbers are estimates. Apple doesn’t release actual Apple Watch sales, so different market research companies often come up with slightly different results. For example, Strategy Analytics pegs Q3 2018 Apple Watch shipments at 4.5 million units. Relying on estimated numbers for Apple Watch sales is something AAPL investors have had to get used to, since the company has never released its own numbers. And it’s going to be the the new normal going forward, since the company announced it will stop reporting unit sales for its other hardware lines, including the iPhone. The bottom line at this point is we don’t know the exact number of smartwatches Apple shipped or sold in Q3. But the trend is clear: the numbers are up, and in a big way. With a starting price of $279 for the Apple Watch Series 3 and an estimated 4.2 million units shipped, Apple Watch sales remain a blip compared to the 46.9 million iPhones (with an ASP of $793) AAPL reported last quarter. But as more of the new Apple Watch Series 4 enter the mix (with a starting price of $399), if Apple Watch sales continue to grow, this product line is going to have an increasingly positive impact on AAPL’s bottom line. Maybe it will even be enough to take some of the edge off those weakening iPhone sales. 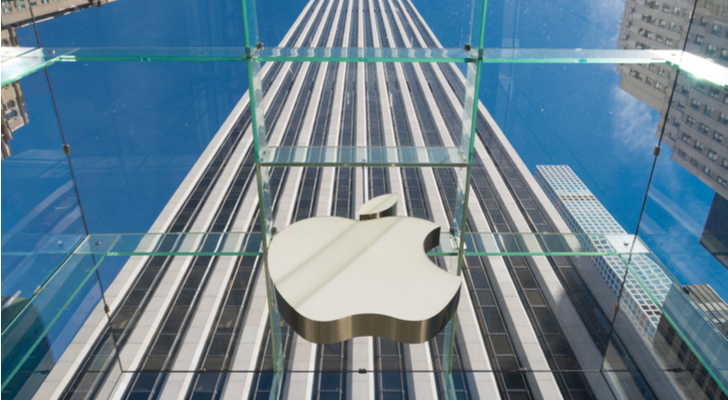 Article printed from InvestorPlace Media, https://investorplace.com/2018/12/aapl-stock-iphone-sales-may-be-slipping-but-apple-watch-is-hot-seller/.